Rare lake frontage in Northwoods. Fantastic view of Swift Reservoir&Mt. St. Helens. 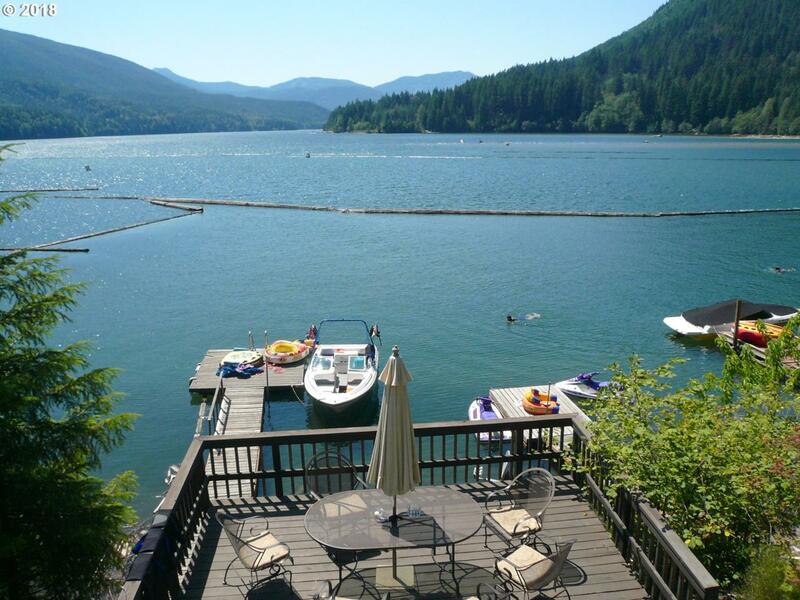 2 Private docks w/water depth comparable to marina. Lakeside deck only steps down to docks. Interior layout&large decks great for entertaining. Remodeled kitchen& fully furnished. Sleeps 8 in beds + multiple sofas. Three car garage w/workbench & extra storage for supplies. Large oversized parking area.Hiking,hunting,fishing,water sports &snowmobiling.